Clean teeth can make your pet look great (and their breath smell better too) but healthy teeth is more than just about appearances. Did you know your pet’s dental health can have a big influence on their overall health? Diseases and other painful conditions can begin when their pearly whites go yellow and plaque takes hold. Both dogs and cats should have an oral examination performed by their veterinarian at least once a year. This is usually done at your pet’s annual examination. Most owners do not ever look in their pet’s mouth which means dental disease can go undetected for a long period of time. When your veterinarian examines your pet’s mouth she will evaluate the mouth for gingivitis, calculus, foul odor, gum recession, fractured teeth, resorptive lesions, and oral masses. Many pet owners can do at home dental care and significantly improve their pet’s oral health. 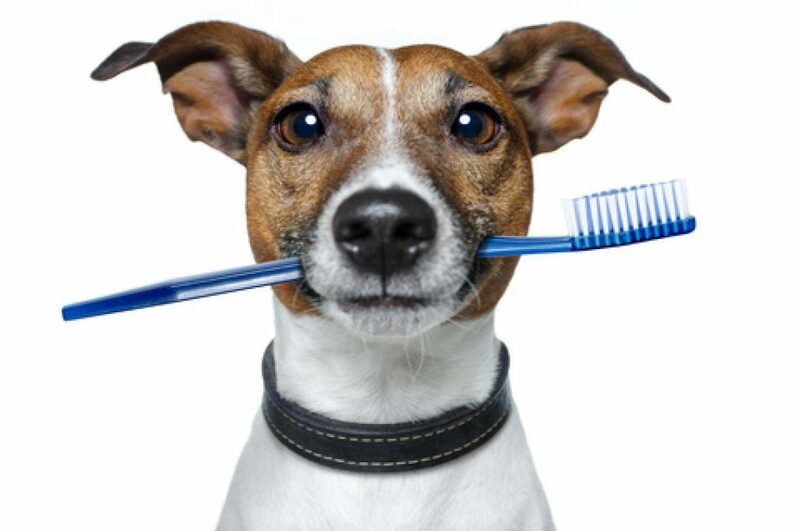 If your pet will allow it, brushing his teeth is the best thing you can do to improve his dental health and slow down the dental disease process. Most cats will not allow teeth brushing, but many dogs are receptive to it. To brush your dog’s teeth use a soft bristled tooth brush and slide the tooth brush in between the lip and gum, brushing in small circles on the outside surfaces of the teeth. You may brush with just water or a dog tooth paste. Do not try to brush the insides of the teeth, as most dogs will not allow this and the tongue does a pretty good job of cleaning the insides surfaces of the teeth. If your pet will not allow teeth brushing, try dental treats and products approved by the Veterinary Oral Health Council. A list of these products can be found HERE. If home dental care is not sufficient, a pet may require a full dental cleaning under anesthesia. Anesthesia is required so your veterinarian can clean every surface of tooth, clean under the gum line, do a full oral examination, and extract any unhealthy teeth. It’s dental month! As you know, our pets frequently run into oral health issues later in life. Pet dentals can prevent many of these health issues just by catching them before they’re a problem. Bring in your pets in February and get 15% off your pet dental. 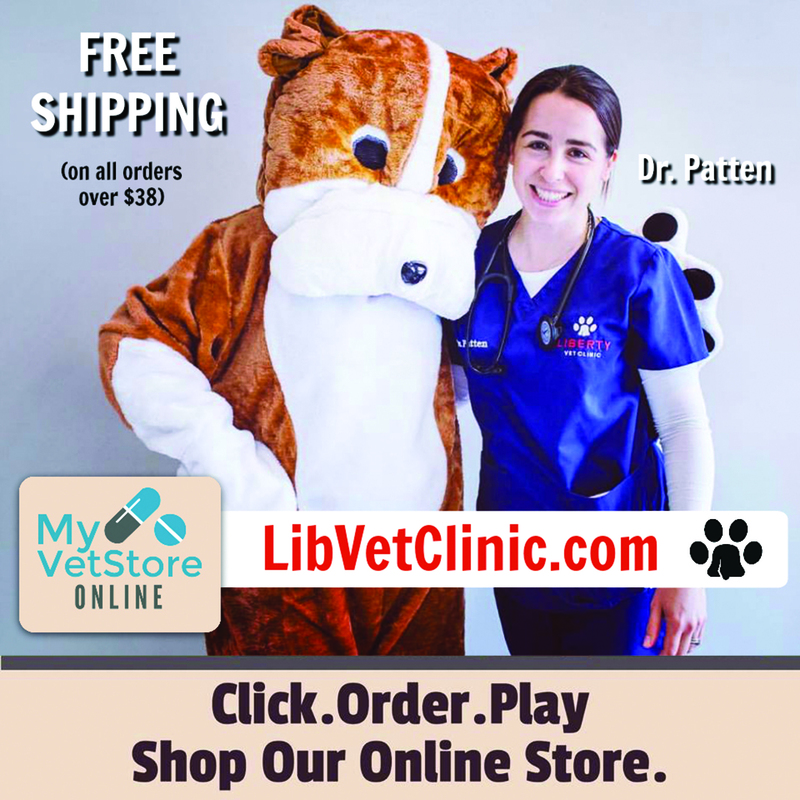 Request an appointment in our PetDesk app (download at LibVetClinic.com) or just give us a call!